Living with OCD is not for sissies. J.J. Keeler proves that. From her fears of the bomb in her teddy bear to her fear of running over innocent pedestrians, to her fear that she has caused a strangulation, she tells her story in a way that allows us to see inside her disease and to see that she has not lost her sense of humor. This light-hearted yet serious and comforting look at OCD lets some light into the closet of sufferers. This book is for those with OCD or who love someone with OCD, and for those who would like to know what it's like to live with the daily challenges of OCD. 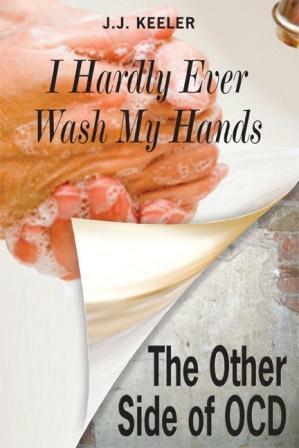 In her biography, I Hardly Ever Wash My Hands: The Other Side of OCD, J.J. Keeler explores with honesty and humor her struggles with obsessive-compulsive disorder (OCD) and how OCD manifests itself in her life. She writes in the prologue: "You might know someone like me. You might be someone like me. I didn't plan this for my life. It's not like I went to career day at school and thought, Being a lawyer sounds neat. Being a doctor sounds cool. But, I really want to grow up to be in the depths of despair. (pg. x)"
"Maybe you're thinking I wash my hands a little too often, I organize things a little too thoroughly, I make sure my house is a little too clean. But, the truth is, I do none of those. OCD has another side. (pg. xi)"
Keeler isn't obsessively clean or neat or organized. Her OCD takes another direction: obsessions. Some of Keeler's obsessions are harming obsessions. She acknowledges "By definition, they sound so simple: those of us with harming obsessions have an obsessive fear of harming others. But, they are much more complex. (pg. xiii) And she goes on to explain how they affect her daily life. Simply reading about her thought processes as she tried to deal with her obsessions was enlightening to me, someone who does not have OCD. While Keeler is funny and writes about grappling with her various obsessions in a smooth, entertaining way, her honesty also allows some of the pain the obsessions have caused to show through, which is heartbreaking. Keeler openly describes the time-consuming rituals she has performed in order to fight off the panic and fear her obsessions caused. She says of others who also have OCD obsessions: "On one level we know these obsessions aren't a reflection of reality. We tell ourselves not to worry. But, the obsessions persist and pester. They build in our heads until we yearn for reassurance the way a junkie yearns for a fix. (pg. xiii-xiv) and "Sometimes I think people with OCD view the world from inside a 1950's TV: we tend to see things in black and white. Things either have a right way or they have a wrong way. (pg. 35)"
Keeler does and excellent job describing what she was thinking and experiencing when she obsessed over having AIDS: "I can't tell you how many times I've had AIDS. I've probably had it more often than the average person has had a common cold or a sinus infection. I’ve had it more often than the average child has had strep throat or the average athlete has had a muscle pull. I’ve had AIDS more times than I can count. (pg.1)"
Or being scared of bombs: "Whatever the reason, I was scared of bombs, and believed they were everywhere. (pg. 19)"
Or being excessively fearful of getting into trouble: "Getting into trouble was something I feared all through childhood. But it wasn't just a lingering fear that many children have; it was an obsession. (pg. 51). It is exhausting to just read and consider everything Keeler has to go through when she is obsessing over something - and she obsesses over big things. This is an incredible look at a side of OCD that isn't generally thought of when the disease is mentioned. Keeler does a real service to others by educating us about another aspect of OCD. She also has random facts about OCD through out the book that are illustrated with little cartoon stick figures. For example" "Random OCD fact number 1: Approximately 3 million people in the U.S. are believed to have OCD. (pg. 11)" Certainly most of us know someone who has OCD - or it is a personal battle. Last chapter "Dear Friend" is written specifically to those who are struggling with OCD. Keeler wanted to reassure others who are suffering from OCD that they are not alone - especially since only someone else who has OCD can truly understand what they are going through. Keeler shares some knowledge and some strategies she uses to deal with OCD. Reading about some of her personal struggles makes the wisdom she shares to help others master their OCD even more powerful. This was a very powerful chapter and would be worth acquiring the book if only to read it. But read the whole book, especially if you have OCD or know someone who does. A successful freelance writer, designer of custom children’s books, and muralist, J.J. Keeler has a degree in English Literature from the University of Colorado. In addition to her current work as an artist and freelance writer, Keeler has been a technical writer, greeting card copywriter, and illustrator of coloring and picture books for children. 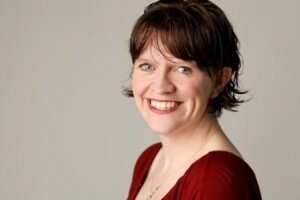 She has produced freelance articles for a number of magazines, including a featured bimonthly column, From the Horse’s Mouth, in Twins Magazine and a comic strip, Greetings from Mars, which ran in the Denver Daily Newspaper. Keeler currently resides in Highlands Ranch, Colorado, with her husband, daughter, and five pets. Disclosure: I received a copy of this book from the author and TLC for review purposes. Tuesday, July 24th: I’m a mom. I have OCD. This seems like an excellent resource for people trying to understand their loved one's OCD. Thank for the review and for being on the tour! Thanks so much for being on the tour and for a great review!